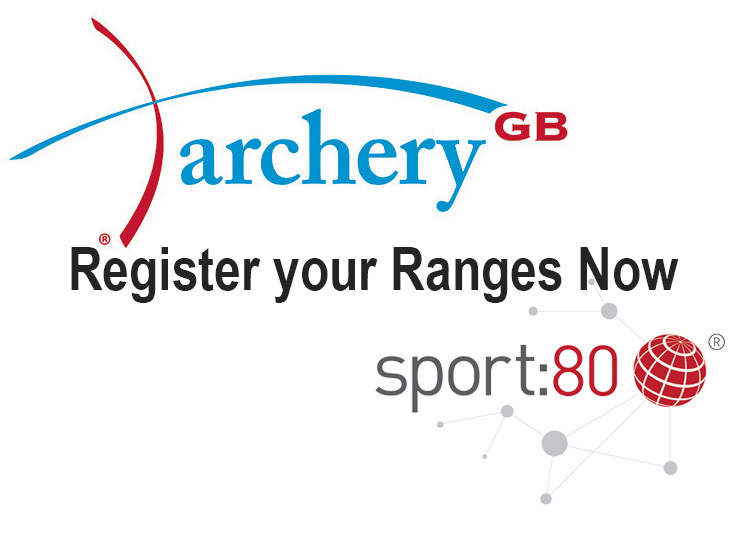 Archery GB have launched the Range Registration Process, which is being administered through Sport:80. Every Archery GB club is required submit details of their facilities. The online self-assessment will be completed on the Sport:80 website, and activation links have now been sent to all Regional, County and Club Secretaries throughout the UK. The new range registration process aims to capture all the facilities used across the country and provide a centralised source of information on location, shooting capacity, access arrangements and Rules of Shooting compliance. The new registration process for all clubs and tournament venues starts on 3 April 2017, there is a period of 6 months in which to register ranges. All ranges are included, but not demonstration or have-a-go sites which are covered by separate Codes of Practice. One-off tournament ranges must also be registered, and therefore County and Regional Secretaries will also have access to the system to do this. This process does not have any impact on the running of tournaments in 2017. To register a range the Secretary must enter information about the range and confirm whether the range conforms to the Rules of Shooting. If the range conforms, the club then has 3 years before having to renew the registration. Guidance notes on questions to be completed can be downloaded here, these are for gathering the required information only, and all responses must be entered on the Sport:80 website. If a range does not conform, Archery GB have trained over 30 Range Assessors who will be available to visit, make an assessment and support the club to continue shooting safely.